For those who love architecture, especially mosque architecture will love this one. 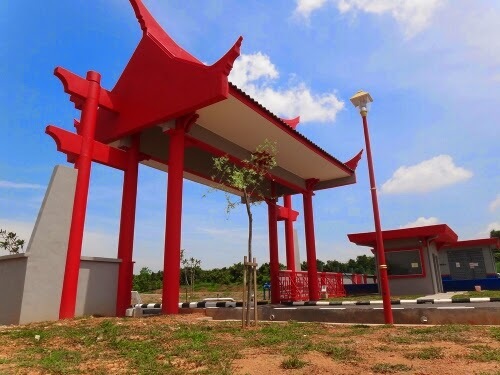 This will be the first Chinese pagoda-inspired mosque that will be built in Melaka. Exact location is in Krubong. It planned to be completed in March 2014. The mosque is estimated to cost about RM7.5 million and would cater to all Muslim near Krubong. The mosque is being built on a 2.4 ha land. It has traditional Chinese architecture and could accommodate over 2,000 people to carry out their prayers and obligations at one time. It will definitely become a tourist attraction for its unique Chinese architecture. The mosque design is a combination of architectural designs of several mosques in Beijing, Shanghai and Xian. It would have a natural ventilation concept. 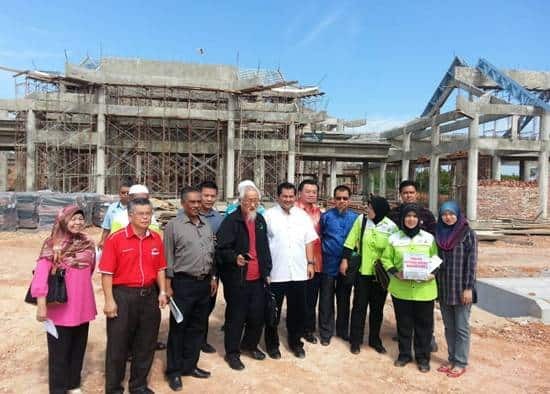 The construction of the mosques’s main building began earlier this year through an allocation of RM5.9 million from the Federal Government which was approved by Deputy Prime Minister, Tan Sri Muhyiddin Yassin in October 2011. Currently the mosque is 62 percent completed. The balance will be funded by the Melaka Chinese Muslim Association and public. The mosque not only be a place of worship but also a place where community members can share their rich culture in this case of the rich Chinese culture and practices. The association has also applied a 20 acres land next to the mosque to be developed into a Chinese Muslim community where shops and stalls will be set up. It will become an ideal center to facilitate the association’s activities and programs for the community. There are many interesting mosque in Melaka. We have covered a few such as Al- Azim mosque and Melaka Straits mosque. In the future we will try to write about Kampung Hulu mosque, Tengkera mosque and other’s. 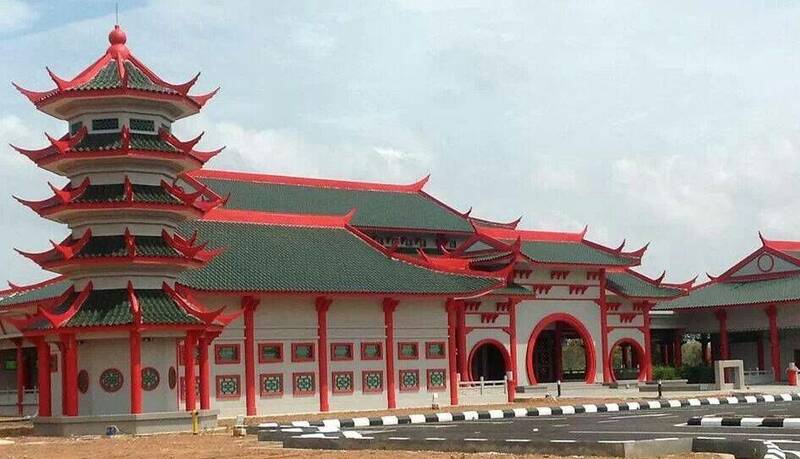 The Melaka Chinese Mosque has been completed in April 2014. The Mosque has been operated on 29 Syaaban 1435 H/27th June 2014. Look at the picture below after completion 3 years ago. kenapa ye? bina masjid ni guna loan bank ke?